A KTV bar at the 6th floor of Mingzhu Plaza in Sanya has been odered to pay 30,000 yuan for failing to ban teens from entering after an electricity leakage killed a 14-year-old boy. The boy, who was a student of Sanya Shiyan Middle School, suffered a serious electric shock while singing with his classmates and died shortly after being taken to the hospital. Local authorities showed a big concern about the incident and sent inspectors to look into the case. Both of sides reached an agreement by giving 600,000 yuan as compensation for the victim’s family. Besides, the KTV was also given an administrative fine of 30,000 yuan for failing to place a notice that teenagers are not allowed. Currently, the KTV has been going through renovation and reopened to the public with all microphones changed into wireless devices. 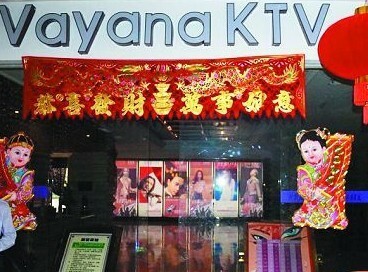 After the accident, the KTV’s manager admitted their business was no longer as good as in previous months.